The most prevalent non-essential amino acid in the body. Shown to affect hydration status of skeletal muscle cells. It has been shown to have a role in resynthesis of both protein and glycogen. Demonstrates the ability to support the synthesis of many compounds critical to energy and repair, such as ATP, DNA, and RNA. 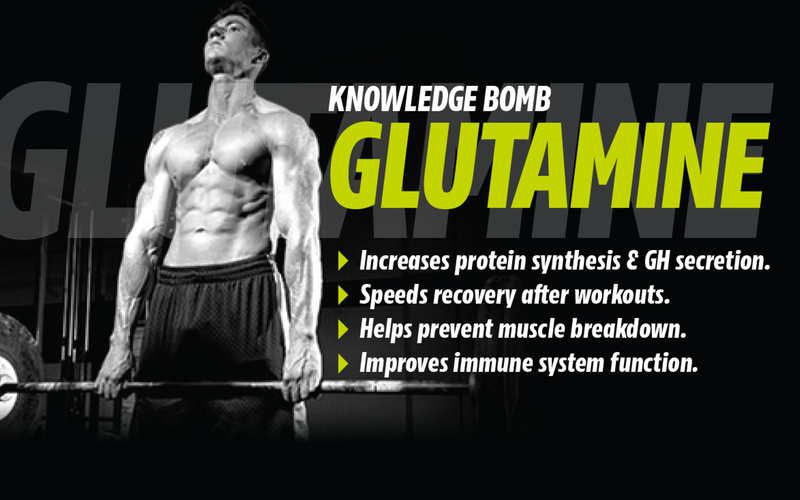 This entry was posted in Knowledge Bombs and tagged amino acid, glutamine, knowledge bomb by NutraBio Labs. Bookmark the permalink.